Modern Jesus studies are customarily divided into three categories: the Old Quest, associated principally with Albert Schweitzer, the short-lived New Quest launched by Ernst Kasemann and contemporary Jesus research, often referred to as the “Third Quest.” While the term the “Third Quest” is used with the broad sense of describing the renewed interest in Jesus studies from the nineteen-sixties’ onward, N. T. Wright, who coined the expression, believes that it refers specifically to research characterized by a particular methodological shift from previous approaches. Whereas the Old and the New Quests sought to disassociate Jesus from his Jewish roots, he describes Third Quest scholarship as referring to those attempts which seek to locate Jesus within the historical context of Second Temple Judaism. This paper will follow Wright’s use of the term. For an overview see Brown, Colin. “Historical Jesus, Quest of,” in Dictionary of Jesus and the Gospels (ed., J. B. Green, et. al. ; Downers Grove: InterVarsity Press, 1992), 326-41; Stephen Neil and Tom Wright, The Interpretation of the New Testament, 1861-1986 (Oxford: Oxford University Press, 1988), 379-403. Neil and Wright, The Interpretation, 379. In addition, see Ben Witherington, The Jesus Quest: The Third Search for the Jew of Nazareth (Downers Grove: InterVarsity Press, 1995), 253, n. 1; James Dunn, Jesus Remembered, (vol. 1 in Christianity in the Making; Grand Rapids: Eerdmans, 2003), 85, n. 100. “[Material is authentic] when there are no grounds either for deriving [it] from Judaism or for ascribing it to primitive Christianity.” Ernst Käsemann. “The Problem of the Historical Jesus” in Essays on New Testament Themes, (SBT 41; trans., W. J. Montague; Naperville, Ill.: Allenson: SCM, 1964), 37. N. T. Wright, Jesus and the Victory of God (vol. 2 of Christian Origins and the Question of God; Minneapolis: Fortress Press,1996), 34-5; Neil and Wright, The Interpretation, 379-403. Because of this we will not examine the works of Robert Funk, Burton Mack, John Dominic Crossan, and other representatives of the “Jesus Seminar.” We will also leave out Marcus Borg, whose understanding of the Kingdom depends little on first-century Judaism. “There is, however, one area in the testimony of the gospels to Jesus the authenticity of which is agreed on by virtually all New Testament scholars—namely, the teaching of Jesus on the kingdom of God.” G. R. Beasley-Murray, Jesus and the Kingdom of God (Grand Rapids: Eerdmans, 1986), x. In addition to Beasley-Murray’s, Jesus and the Kingdom of God, Bruce Chilton has done much work on the meaning of the phrase in the Targums. Bruce Chilton, Targumic Approaches to the Gospels: Essays in the Mutual Definition of Judaism and Christianity (Lanham: University Press of America, 1986), 99-112; Bruce Chilton, God in Strength: Jesus’ Announcement of the Kingdom (Studien zum Neuen Testament und seiner Umwelt B/1; Freistadt: Plöchl, 1979, 277-98. See also, Michael Lattke, “On the Jewish Background of the Synoptic Concept, “The Kingdom of God” in The Kingdom of God (ed., B. Chilton; Philadelphia: Fortress Press, 1984): 72-91. 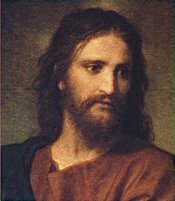 Other sources which deal with Jesus and his Jewish context include discussions on the Kingdom in Jewish thought, though the question is not dealt with specifically, for example, James H. Charlesworth, Jesus Within Judaism (ABRL; New York: Doubleday, 1988). Great post. I especially find great sympathy with your comment that "Jesus was annoucning that God would re-establish his reign in a specific say- through the restoration of the Davidic Kingdom". I have been developing very similar ideas in my Ph.D. disseration, "Matthew's Messianic Shepherd-King: In Search of the Lost Sheep of the House of Israel" -- published this coming year with BNZW. And I am beginning to write a book on the historical Jesus with the working title "Jesus, David and the Kingdom of Israel". It is so refreshing to read of others thinking in similar ways. I agree with my (new) good friend Joel. Michael, your emphasis on the importance of the Davidic kingdom for Jesus' understanding of the Kingdom of God has revolutionized my own grasp of this most central of topics. I had no real grasp of this until I encountered your perspective while reading Singing in the Reign. And I simply don't find the kind of clarity that you are bringing to the discussion in other modern scholarly works on the kingdom, which are invariably vague. One leaves them always feeling that something is missing... like the Kingdom itself, or at least any concrete understanding of what the Kingdom actually IS. You are surely on to something here. Along with others, like Joel, I think this could be a major contribution to Jesus research. Godspeed, my friend!